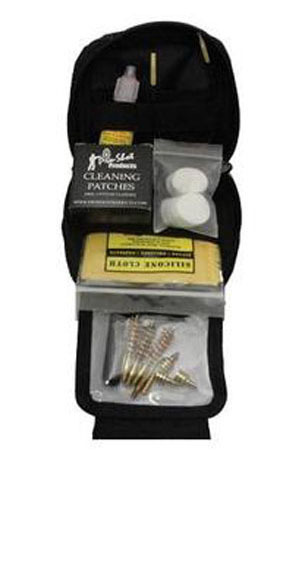 The Pro-Shot Tactical Gun Cleaning System is a pull-through cleaning system that uses a cable with separate jag and brush ends. The specially designed pull-through jag ensures the patch will stay in place while cleaning. This kit provides for the same versatility as a cleaning rod but in a smaller, more portable package. 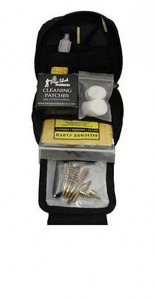 Kit comes with pull cable, oil, detachable handle, bronze bore brush, jag, patches, and carrying case. Universal kit features Jags and Brushes for .22 cal, .38 cal, 9mm, 10mm/.40 cal, .45 cal.